Your production databases slow down your website/mobile apps so much that the developers want to take 3 months to off to migrate sensitive parts of your application to 3 new database technologies. You now not only need to maintain unfamiliar database technologies, you also need to fix support tickets like “why does it say the total is 50 here, but the total is 43 over there? Which one is right?”. Every time you deploy database changes after a few extra weeks of testing, everyone still holds their breath while it deploys. After a couple of years of hard work trying to move your monolith to microservices, only 5-10% of the database has been migrated. The momentum has stopped, because no one is willing to risk their positions and break key parts of the system. Your developers still need to test against the staging environment as that is the one that has data in it, but by then, all the bad database queries have already been written. 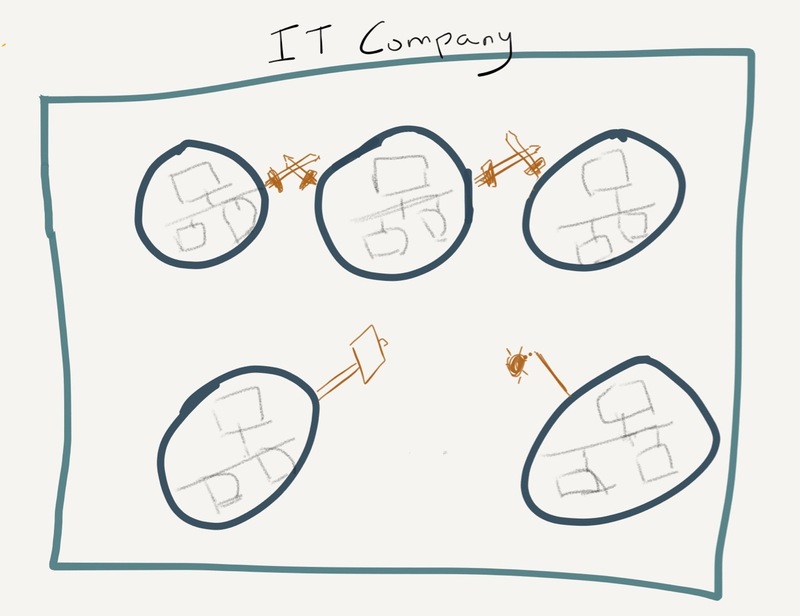 After having 1 monolithic database and 20 silo’d databases sitting inside microservices, you now need to hire a data expert to go over all the mess and create a single place to run reports from. Otherwise, no one has an idea what’s going on. Remove aggregated data from non-aggregated tables. Use compound primary key when auto_inc id is not needed. Your time is short and valuable, so I will not waste it on fluff. You would, however, need to take on these points and do more research on them, in the event that you like and agree with them. You are in a company and you see a glaring issue that you would like to solve. You have an idea or some experience that your solution might be helpful. However, its frequently difficult to implement change in companies (there are entire books and MBA courses on it). Sticking to IT/technical problems, here are 3 points that can help you implement technical change in an organisation. This could be 'understand politics' or it could mean 'being friendly' or it could mean 'being consistently reliable and hardworking'. Either way, you can implement change by spending your social capital. Please note: you will not get this social capital back, even if your idea works amazingly well. If you are the expert in the area and you want to implement technical change, the resistance to your idea may be greatly reduced. Personally, I like giving presentation to people inside the company. Then if I want to make a change, the conversation would usually go this way: "Hey, do you remember that presentation I did a while back? I was thinking of implementing one of the points I had in there. It wont take too long and I will make sure it works." "What presentation? oh that one.. yeah, yeah.. sure. Just let me know when X is done and Y is finished". Usually, a lot of the resistance to change is due to the risk of something going wrong. If your idea carries certain unacceptable or high risk, try to reduce the scope of the change or remove some of the moving parts. The idea is to still implement the 'core' of the technical suggestion or break it down into steps - where if the first step succeeds, then the second step would be less risky. Compiler | GNU CC version 4.4.7 20120313 (Red Hat 4.4.7-17). 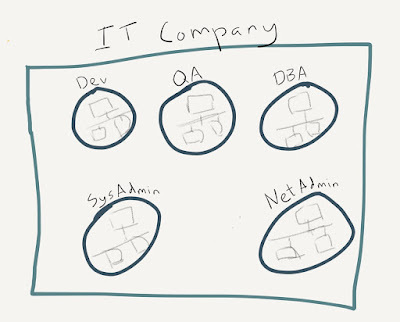 A large number of IT organizations today are monodisciplinary. This detracts from their ability to provide well-crafted products and use best-practices that exist from other disciplines. Wheels need to be reinvented and messy workarounds seem to trudge the IT organisation along. There is a historical reason that IT organisations have ended up this way; departmental fiefdoms, communication issues and bureaucratic red tape. The solution to this would be to bring in experts from other disciplines and set a framework that highlights competency, simplicity and transparency to integrate all the expertise and produce high quality products. Inspired by the philosophy of John Ruskin and the Guild of St. George. My name is Jonathan. I have been working for 11 years, trying to improve the performance of systems that use databases. Through that experience (and with observing leading people in my industry), I have developed a knack for viewing everything as a system and then identifying bottlenecks within that system. As of the middle of last year, I have started to use this knack and apply it to human systems at work. I have also studied intensively some concepts from: psychology, philosophy, political theory, social systems, economics and business strategy. After noticing some short comings that began to increasingly frustrate me at work and in the spirit of 'don't just complain, try to fix it', I have come up with a system of organising work in IT organisations that I have given a lot of thought to. 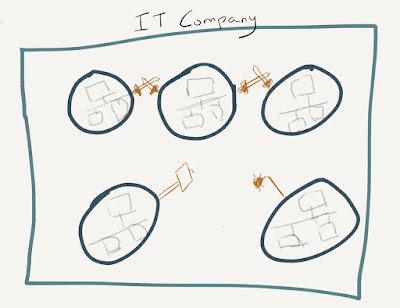 I plan in this post (or white paper) to explain some shortcoming with our current way of working in IT and a possible future or improvement to those systems. 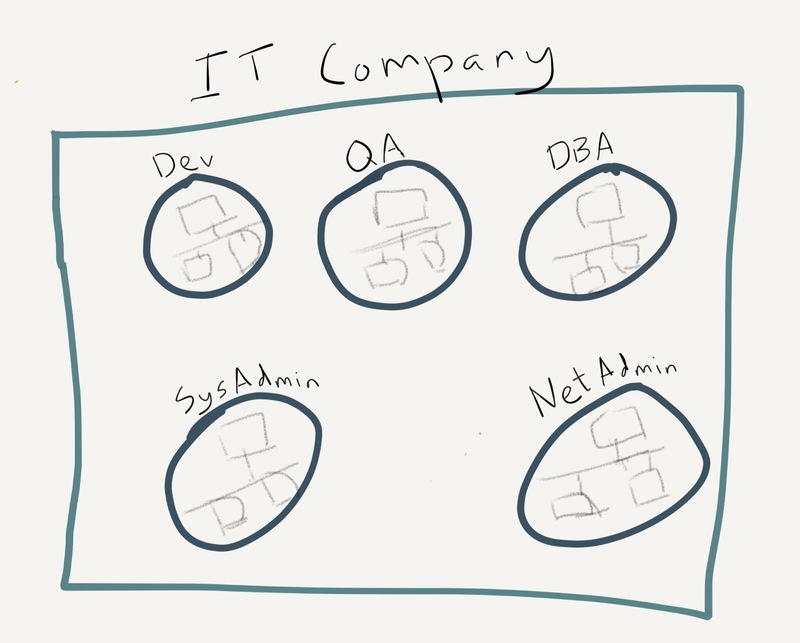 IT organisations or the IT department within organisations, typically used to look like the diagram above. You would have Developers, QA, Database Administrators, System Administrators and Network Administrators. Some companies still have this same structure with slightly different divisions. Over time, problems with this structure emerged. The main one that I would say is that over-time, the objectives of the different teams diverged from that of the overall company to that of the priorities of the team. Meaning, they became fiefdoms or tribes and started warring with each other. Territorial protectionism: "This falls into our areas and we will decide whether to do it or not"
Resource allocation: "Team X needs us to do Y. It will take a lot of work and I can't be bothered with it now. I'll just tell them to write me a ticket and I'll put it in the backlog for a while"
Communication process creep: "I know that the ticket was sent 2 months ago, but I have not received the detailed documentation of what to do, nor do I have written authorisation from manager X and head of Y"
If you look at the above chart as a hierarchy or a social system, it would look like Feudalism. A Java consultant once joined a company for a 6 month contract with a similar Feudalistic structure. He asked the DBA team to give him an Oracle dev database so that he can develop what was asked of him. He wrote up a ticket and waited. After a while of not getting the database, he continued with other things and tried to compensate with what he had available. There was some back and forth between the heads of his department and he did mention the lack of a dev database in meetings. However, the contract finished at the end of 6 months and he left the company. 1 month later, he received an email that his Oracle dev database was ready for him to use. Around the beginning of the first dot-com boom, small start ups became quite popular. 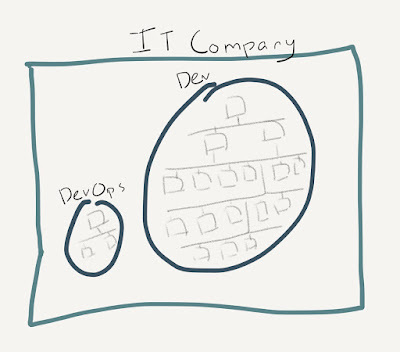 In those start-ups, it was expected that developers, set up the entire system - what we call full stack developers, today. As those companies succeeded and grew, some chose not to split off responsibilities to the format of feudalist model, but instead decided to add more multi-skilled developers. Now what you have is what I call a developer-centric IT company and if I were to pick a hierarchical structure for it, I would say Monarchy. There are two phenomena that I can see that got us here: job compression and automation. 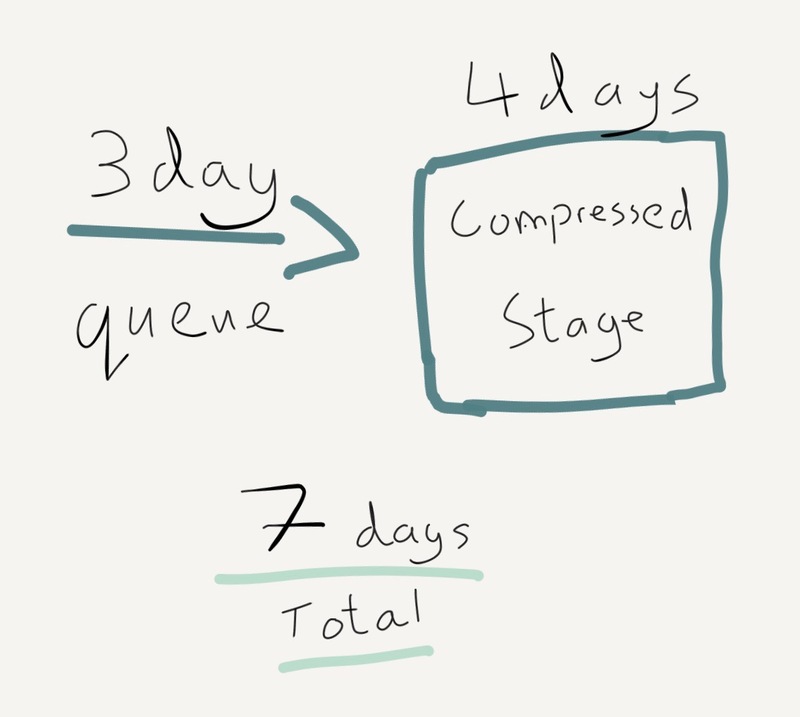 Job compression means that a company decided to restructure its processes to have fewer stages which reduces the need for wait time between stages. The example above shows a mortgage approval process. There are 4 stages. Each stage is a person with different expertise and different authority. Between each stage, there 'work request' sits in that person's inbox until they can get to it. The combined processing time and queuing time is 18 days. Job compression would give 1 person enough authority and expertise to make a decision on the approval process. You have now reduced the time it takes to approve a mortgage from 18 days to 7 days. Note that this was largely accomplished by reducing the overall queue time. As more developers needed to take care of more areas of expertise, they did so by using certain developer philosophies to solve problems and in this case used automation. This brought about certain innovations like Puppet, Chef and Ansible along side previous SysAdmin innovations like virtualisation and later, cloud computing. You can now, using code, boot up a container of a web server with the all files, scripts and images and run a slew of black box tests against it to see if it fully works. However, it is difficult to hold all that information inside one's head and developers are using these automations as a crutch to progress with their original work. For example, you can download a few Puppet modules and install as well as begin monitoring a new high availability database. Unfortunately, you have now lost the expertise (in the company) of what is going on under the hood and how to fix issues when they occur. Very few innovations have been made in the areas outside the realm of pure developing as there are fewer experts in companies to make those innovations. For example, while we have automated processes for storing and managing database schema changes, we have not had any innovations with deploying dev/test/staging databases that contain actual data to test against. Nor can we use existing automated systems for managing schema changes when our production databases become too big. There is a general 'uneasy' feeling when needing to make changes to systems we don't fully understand. This negates the 'safe to fail' environments which we use today to make innovations. We also tend to apply 'philosophies' that work in one area and to another. This is sometimes helpful, but other times detrimental. I was involved in a data batching process that roughly required 200 million items to be processed through an existing API. Had that process gone through the usual way, it would have taken 64 days, with the average chance of crashing. The idea to improve this process was to add more web servers and parallel the work into as many threads as possible. This is a common philosophy that developers have picked up due to limitations with the speed of cores on CPUs. As core speeds have not improved in 7 years, the only option to improve performance would be to split the work across a number of threads. I identified that API spent the majority of its time making database calls and that ultimately, the bottleneck would be the hard disk IO and certain mutexes. I recommended offloading part of the work to the database. This involved loading 200 million items to a temporary table in the database that took 7.5 minutes, using a single thread. The rest of the work still needed to go through the API and took 8 hours to complete. Had the whole process been applied against the database in an efficient manner, I would assume it would take up to 45 mins. A company had a batch process that took around 2 hours and had a detrimental effect on the website during that time. I configured the database to handle such loads better and brought the time down to 30 mins using 6 application servers. 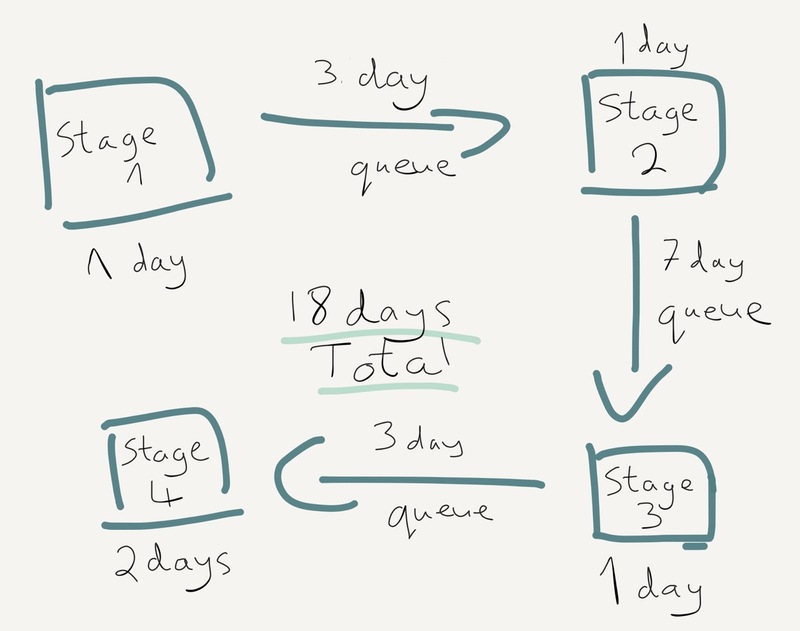 I rewrote the batch process to be more 'database friendly' (push down work to the database) and reduced the time down to 3 minutes and 1 application server. So far, we have had a feudalistic hierarchy with issues with warring fiefdoms and fighting over company resourced. We had then given all the resources to one entity - monarchy, but we lost expertise and reduced innovation in certain areas. How can we leverage more advanced governing systems like democracy and capitalism? How can we move to an organisational environment where more individualism is valued and where people are able to thrive and do better work? One element of Capitalism, is about accepting Pareto’s principle about how expertise is distributed in a population in one type of hierarchy. Instead of going against it (socialism), it is designed to create new hierarchies, more areas of expertise, to have more people at the top of different hierarchies. This lends towards the idea of craftsmanship as well. What could happen in the future is that IT companies can structure their teams based on competency-based hierarchies. Meaning, areas of specific expertise and philosophies which are exlusive to one particular domain, thus maximising results for the whole IT company. Another benefit from expertise and craftsmanship can be found in economics. 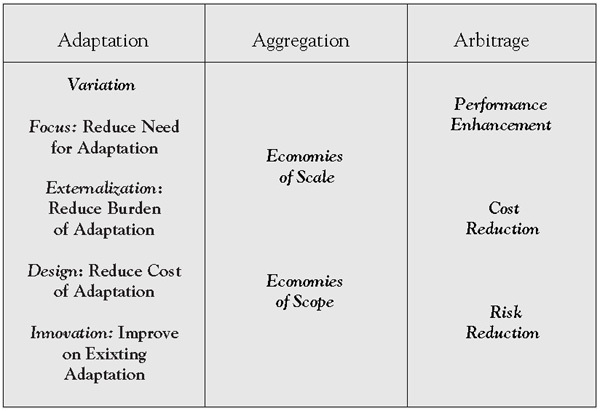 Economies of Scope is a term from the world of business. You have probably heard of Economies of Scale, where you have a few products and you try to have bigger factories and bigger machines to pump out the same product in large quantities which would mean cheaper costs. For example, you can have a factory that makes 3 types of sandwiches. 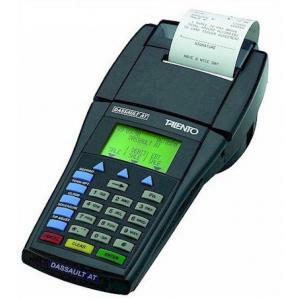 You purchase bigger machines and improve your processes as much as possible to make those 3 sandwiches as fast as possible and remove all possible waste. Economies of Scope, on the other hand, is a system where you try to produce different and varied products at a cheaper price. For example, take Subway. You can go in one and produce a high variety of sandwiches at slightly higher price than if you would buy a prepackaged sandwich in a shop. The idea with Economies of Scope is to break down the process of creating new products into sub-processes that have a very defined scope and then set up communication systems to co-ordinate between those defined processes as well as have some synergy between them. A complex system is difficult to work with. It is also difficult to work in a mess. 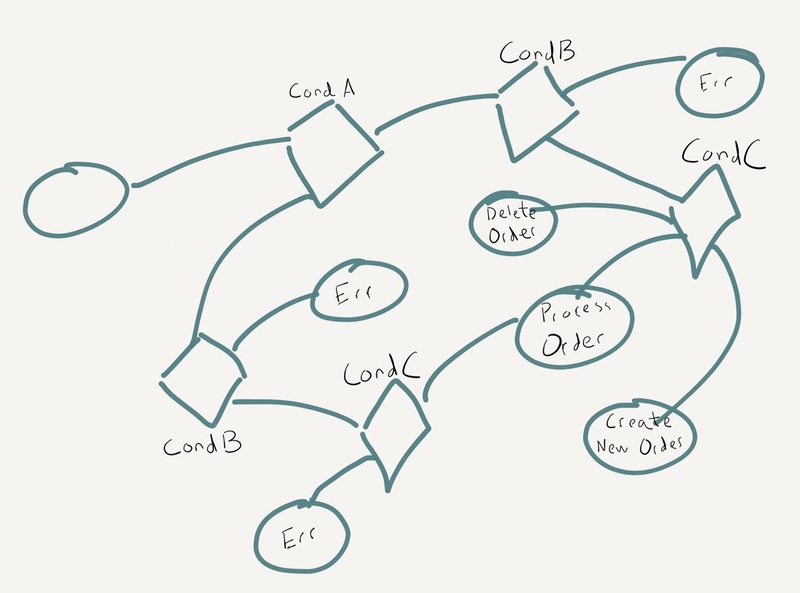 Now complexity doesn't exactly equal a mess, but both of them are not an ordered and organised system. So (complexity or mess) is Chaos and not Order, in this context. For us to get to order, we need to simplify the system by organising the mess with rules. Too many rules, lead to complexity, so once there, we need to either remove unneeded rules or find patterns or philosophies to the rules and use those to simplify the system. Once your system is simple - not a mess, not complicated and not complex - it has a 'clean' and 'this just looks right' feeling to it. This might be called the aesthetics of simplicity. 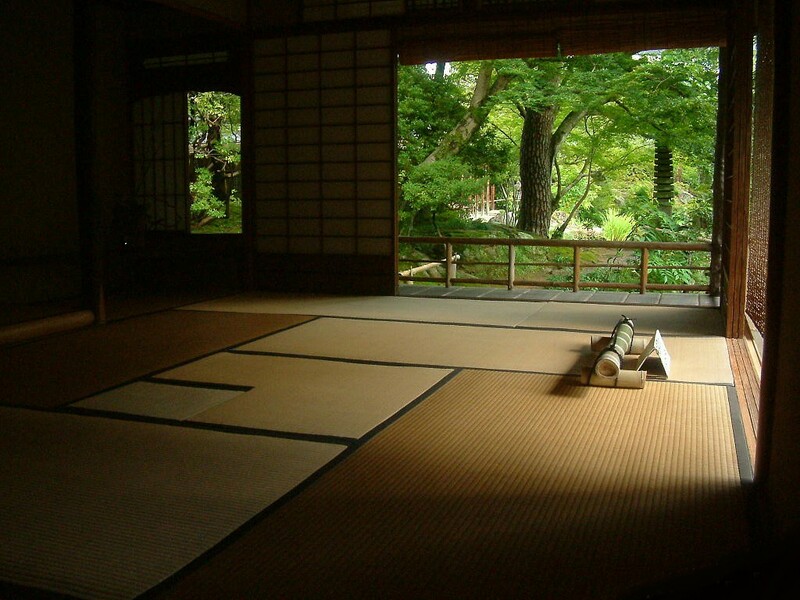 Similar to 'clean code' and 'clean architecture' this philosophy of aesthetics has an innate feeling in it that something is beautiful and right. I would like to include diagrams to this aesthetic. Systems diagrams, network diagrams, database diagrams, business logic/rules diagrams - these need to be included in the art of 'clean and simple'. When those objectives are reached, the systems, network, databases and business logic/rules may also be clean and simple - to understand, use, operate and make changes to. Please give it a try and see if it instinctively makes sense to you. Transparency is ultimately, the best way to prevent fiefdoms from occurring. Fiefdoms usually silo and represent information to other parts of the company to benefit itself. For example, lets say an unethical manager would like a talented individual to stay in their division. That manager can simply not promote that individual and even give negative reviews to keep them where they are. If, however, HR had access to objective metrics about all the employees, they could see that that person produced good work and has been in there position for some years. They would promote that person before they move to another company. This framework has a definition for an old role: Managers and a new role which I felt should be included that I call: Technical/Business Analyst. Both are very important for the framework, so I will explain them now. Business Analysts seem to be something that only large companies have and there has been some huge innovation in documenting and expressing business knowledge in the last 5 years. We all need to start using this skill set to explain and diagram requirements and business knowledge, no matter the company size. Business Process Modelling Notation 2.0 and Decision Modelling Notation could well be the next innovation in bridging the dialog between business and IT. I was trying out using decision tables to document requirements. I talked with the Product Manager and asked her to give it a try. She took a ticket that a developer quoted as taking 5-8 days to implement. She went over the requirements and built a decision table in excel. She then showed it to the original developer, who said: "If this is all that is required, then it should take 1-2 days to implement". I was working on a way to document technical processes. I went over some code and found an if-then-else "pyramid of doom" in it. I then tried to put the conditions from the code into a decision table. After I was finished, I showed it to the original developer and he instantly understood it and made a correction to the table. I then proceeded to tell the business analysts in the company that were extremely impressed that that developer understood it so quickly. Apparently, they have had difficulties communicating business requirements to him before. I am sure, everyone has ran into something like this glued to a wall in an office. It's not very clear what is going on. The process mapping is now easy to understand and therefore easier to understand more parts of the system. Provide a counter-balance and due diligence to new business requirements: "I understand you would like this new feature. Could you please explain to me in detail what it is that you need?" 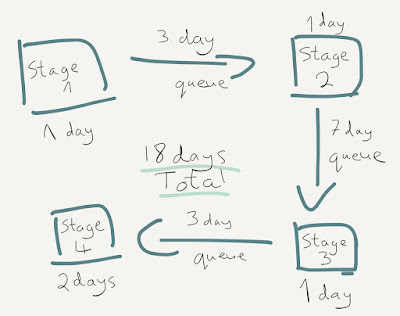 Reduce the time groups of developers spend next to whiteboards. Reduce risk by using decision tables to notice scenarios that were not considered: "We have Active for CustomerStatus, but I don't see a scenario where the OrderStatus is suspended." Reduce the meetings between developers and business users. Reduce the scope that developers need to work on and increase focus on a specific task. Create a system of business and technical documentation. TBAs should spend time going over the backlog of tickets. This should increase the velocity of the team if the tickets are very well defined. When a new ticket is taken on by the team, a developer and a QA engineer should pick up the same ticket: The QA should start writing functionality tests based on the scenarios in the decision table and the developer should write the code and test it against those tests. Current software projects spend about 40 to 50 percent of their effort on avoidable rework. In addition, this role should also prevent or at least greatly reduce cancelled projects or priority changes. I understand that these are extremely demoralising for developers. Competency: This is a new role for most small-to-medium companies. It should streamline the development process by adding an expert into the right area and reducing the scope of work for other people in the company. 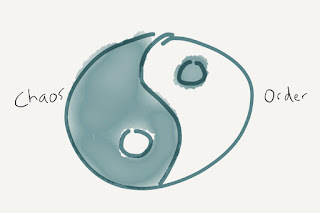 Simplification: Having easy to understand diagrams and documentation simplifies development work. 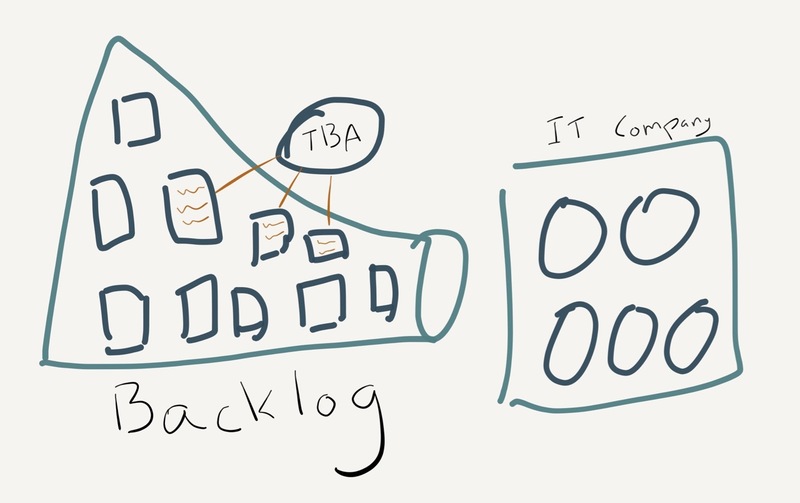 TBAs should also identify parts of the system that could be simplified (value stream mapping) and suggest very specific and narrow work for technical debt. Transparency: TBAs should make the whole system easy to understand for both IT and business users, outside of it. I would like to start off with saying that managers do not equal team leaders. In the developer-centric companies, there are very few managers and there are mainly team leaders: developers that have been promoted to lead other developers. It is no secret that people do not like managers that have no idea about their technical role. In addition, there was a study that determined that 65% of managers actually produced negative value for the company. On the other side, good managers produce huge value (Pareto Principle) for the company and it should not be something we write-off. Currently, with the lack of managers in IT companies, there is a reliance on hiring someone who 'is the right fit' and are basically outsourcing the need to manage to the individual. If they don't work well, then there is something wrong with them. In the context of a Capitalistic/Democracy, what role would managers play? Well, in a Democracy, there is a need for Law-makers to make systems for people to interact in a helpful way to society. There is also a need for Courts for dispute resolution. Managers should think of systems inside the company that promote honesty, tolerance and freedom of speech. Managers should also resolve disputes in the company and look for workplace complications before they become a full blown warring tribe. Bear in mind, that this framework encourages experts and experts usually have opinions. Competency: The manager should be competent enough at coming up with social systems that are effective for that specific company culture. The idea is that the cogs turn smoothly. Simplification: The manager should set out rules in those systems, but set out very few rules and then enforce them. With regards to communication, less is more. The manager should make sure that a group can handle things in their own expertise and scope and try to reduce communication dependancies. Transparency: The manager should implement metrics gathering to both know how the IT company is performing, but also be transparent to stakeholder outside IT and build trust with them. Let's take three measures of the output of a system to see how these philosophies could work: Speed, Control and Quality. Competency: If we have experts, then we can make the best choices to build the products instead of trying out many choices until we reach the right one. Simplification: If we simplify the system as much as we can, we can both integrate new systems faster as well as produce easy to use systems. In a lot of ways, simplifying equals business agility as it helps you change the business faster to meet the needs of the marketplace. Transparency: If we have metrics that show us were bottleneck are in the system, we can make those systems as fast as possible. Competency: If we have a high degree competency for a defined scope and area, then we have a high degree of control over the system. Simplification: If the system is simplified, it is easy to use it. Transparency: If the movement of work is transparent, we can see monitor the time it takes to exchange communication and complete work in the system. Another way of looking at it is that one cog is moving slower and is slowing the system down. Ultimately, this is where a manager would need to step in. Competency: If we have craftsmen, the cogs they produce are of high quality. Simplification: If the products we deliver have been simplified, it provides an easy to use product for the customer (perceived quality). Transparency: If we have metrics to see how popular the new product is and how it is used, we can improve the quality of that product. Ultimately, this will need direction from 'the business' and would require interaction with Technical Business Analysts (TBAs in the diagram). Is this system a replacement for Agile? No, its completely complementary to it and would probably better serve the principle of having 'multi disciplinary teams'. How do you prioritise or expedite work in this system? That would be up to the manager. Technically, if you would like the option of expediting, you would need to leave some spare capacity in the teams. What if there is not enough skill in house? If you don't have the skills you need in the company, then consider bringing in an outside consultant - even if its for a few days. You will not gain new innovations, but you will gain from other company's experience. What would happen there isn't enough work to justify a new field? It could be very possible to let one person in the company have a dual-role and still have time to try and innovate in this new field. How can I split up an area of expertise without it leading to a huge overhead of communication? That would really depend on you and your needs. You need to find a balance of 'less is more' with regards to communication, but also have enough work concentrated in front of an expert for them to recognise patterns and generate innovation. Last year, I read 'The Phoenix Project'. I liked it and as an IT manager in the past, I did experience high blood pressure during the SEV1 scenarios in the book. 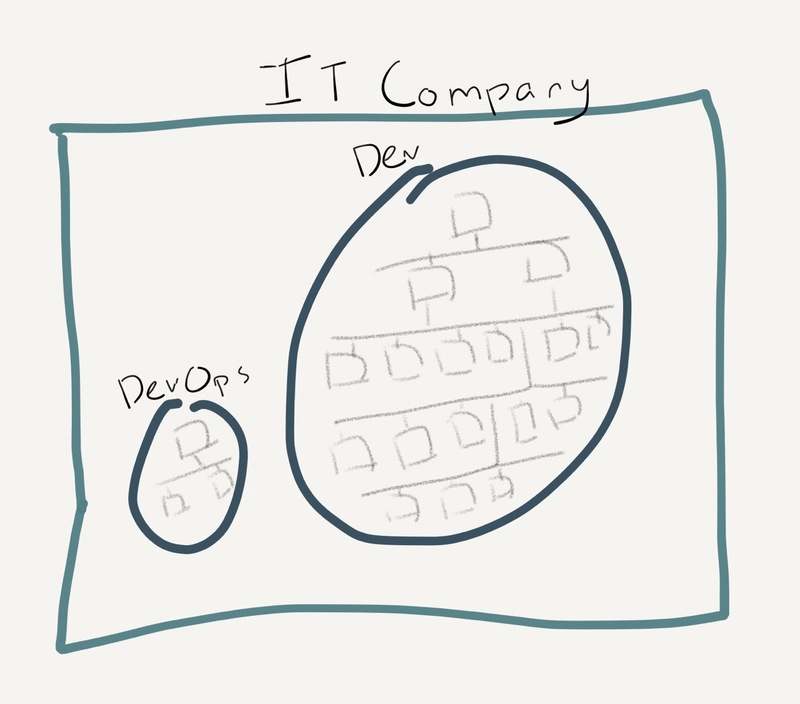 I also liked the way DevOps methodology helped solve issues with IT as well as help the company succeed overall. As a DBA, however, I did have some things that didn't make sense to me about this story. Bare in mind that the two major incidents in the book were database related. So in this post, I would like to jot down some things I have noticed and how they could have been solved looking at them from a different lens. In the first incident, a 3rd party supplier ran a script against the database to tokenise some personal data. This was related to an issue that information security highlighted, but had the result of effecting HR and accounting. In the book, there is a complaint that there was no test environment to see if this script would have any negative effects on other parts of the organisation. Now to me, this does make sense and at the same time, makes no sense at all. If you meant, that back in the day, it was hard to get full environments setup to test changes on your application servers, then you would probably be right. Today, perhaps based on the methodology that this book introduces, you probably do have those environments setup: either virtualised or in a container. What doesn't make sense to me is that is not having a test database. Now reading through the book, there are mentions of Oracle database and some MS SQL databases. As a mainly MySQL DBA, I have not always worked on those databases, but I have worked next to people who have. My observation is, if you were to have an Oracle database, you would almost certainly have other dev/test/UAT/staging/pre-prod database servers as well. Why do I think this? If you can afford to pay for an Oracle database, you would probably get more testing databases under the same license. License being the most expensive part when using Oracle. So a testing database to test things that may effect the precious and expensive database server is almost a certainty. Now it seems shocking to me that the DBA had not been involved in the process to validate this 3rd party script. Old school Oracle DBAs are involved in everything that happens on their servers. Need a user on the database? goto the DBA. Need a database server for a new app? please fill these in triplicates, detailing what would be the projected usage for the next 5 years. In most companies, an Oracle DBAs may even setup integration between other products like Oracle HR and finance. So how could you have run something that significant against the database without their knowledge is beyond me. Assuming that a database field had in fact been messed up, then Oracle DBAs have a TON of really enviable backup and restore features. They can query a table to view all the backups that are available to restore from and choose the point-in-time that is closest to what they need. A DBA could simply restore the database, fetch the specific table that had its column changed and apply it to the to production database. Its more than one table? 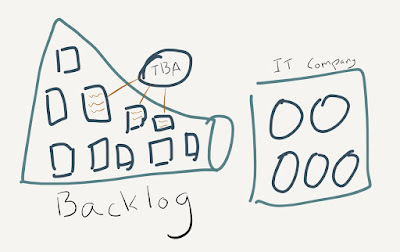 Restore the database, go over the changes in the logs a point-in-time and skip the parts the conversion script applied. It seems to me that the authors wrote the book based on their own experiences, but those experiences occurred in companies that had no DBAs. Not having a DBA is a product of start ups, not old school 1500-person car-parts manufacturers. There was a crippling database issue to do with a database conversion that was needed along side some new code roll out. The issue caused a 2 day - break out the hand held receipt machine - downtime to the system. During the initial investigation, a developer said something along the lines of 'it worked fine on my laptop' when describing the performance of the database conversion scripts. The problem was that on production, it was x1000 slower. 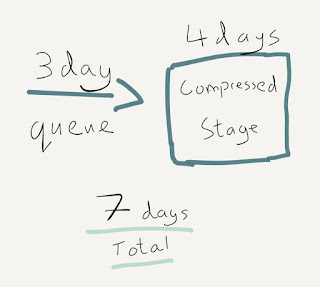 Now, I have written about how to not be the one that deploys that slow query to production before and this really states that situation. Apparently, they still didn't have a database testing environment to test it against. Why didn't the DBA review the conversion scripts or was involved in the the code review process for SQL statements? It could be that there wasn't any in the company. Another point was that they couldn't cancel the conversion after they started and noticed how slow it was. If this was within a transaction or a single alter table statement, why not? If too many things have changed, could they not restore the database to a point-in-time before the changes were made? Was the conversion x1000 slow instead of maybe x10 slow, because of a foreign key check that could have been turned off? A DBA would have given you those options. After the hero turns things around and things begin to pickup, they decide to start a separate project to add predictive features to the main project. In it, they decided to bypass seeking permission for database changes and create a new database where they copied production data into it from several locations. I very much like this approach and it falls in line with the reactive micro services pattern. This would make this book ahead of its time. Instead of managing one main database (although, they did mention in the book that had a couple of dozen database servers) for the website, they can break it up into several database servers, based on functionality. What is required is to use tools - and I would believe in 2012, they meant ETL tools - to migrate the needed data into these new database servers. In addition, you now need to backup, monitor the availability and performance of these additional database servers. So while it adds complexity to the backend and you are now moving from simple database maintenance to a more data architecture role, it is the way forward. Certainly the only way to have proper micro services with their own single-purpose and loosely coupled data stores. it might have been better if they just hired a DBA to solve thier DB issues. When I consult at a company, I aim to identify issues with their database and give options on how to solve them. However, sometimes implementing those solutions may be a more lengthy process than it needs to be and sometimes they may not be implemented at all. During my career, I have observed some reasons as to why that might happen within organizations. Obviously, the following observations will never happen at your company. I am just writing about them so that you might notice them in other places. People don't like to have anything to do with legacy code. It’s painful. It’s difficult. It’s risky to change. It runs business critical functions. Worse of all, they didn’t write it. This can be a problem as often, the most cripling database issues require changes to legacy code. People don’t like you to introduce any new technologies they don’t want to learn and maintain. Not even different methods in technologies already being used. No fancy upgrades to the DB server, no new load balancers and certainly don’t start using SQL statements in the code over their existing ORM. In a complete polar opposite, people in tech organisations don’t like you to introduce boring technologies. What would be the point of introducing boring (yet tested) technologies when they could be playing around with shiny new ones. There is a caveat to this - groups prefer it when other groups they depend on (let’s say developers depend on ops) choose to use boring and tested technologies. Just not for themselves. And vice versa. Last, but certainly not least, no one from upper management will get involved in resolving these issues and push forward solutions. No project/product manager/agile-coach will be assigned to chase up issues. As far as they are concerned, this is an engineering issue and as engineers, you need to sort it out yourselves. Only 'change requests' from the business, have managers around it. After some years of analysing database systems for performance issues, I am finally realising that I should also analyse human systems for performance issues. Setting up databases in development environments can be challenging. Normally, what I usually see is some automated process for setting up empty databases with up-to-date data structures. This is helpful for integration testing, but is tricky for actual development as well as performance testing. You cannot possibly know if your query is slow before you deploying it to production without running it against 'some' data. In addition, there can be a strict requirement to not let sensitive customer data be available outside certain secure environments and certainly not available to development environments. 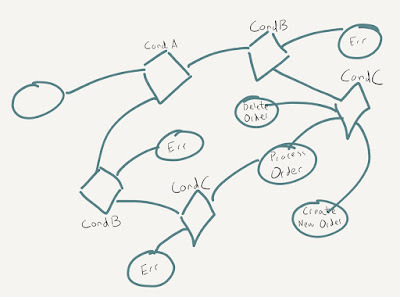 Data structure management and user management should be, by now, a solved problem. You have systems like Liquibase and Flyway that manage this for you. Essentially, you can use these systems to automatically generate containers which your developers can then use or setup empty local databases on developer machines using SQL scripts. For user management, MySQL has PAM plugin to manage users via LDAP, but you can manage this through scripts as well. Referential tables (tables that contain data such as id = 1, status = 'DONE') should also be small enough to be included in this stage as well. You need to identify which tables contain this very basic data and add it to the data structure repository or SQL file. This is where things get a little bit tricky: You need to identify which tables are your Primary 'feed data' tables or Object tables. You then need to identify which tables are the Child tables of those Primary tables. Lastly, you need to identify which tables Map keys across different tables - either Primary to Child (as in multi-to-multi relationships) or Primary to Primary. Specify a set number of keys in the Primary tables and then get the data from the Child and Mapping tables based on those keys. Specify a specific set of keys from the Primary tables and then get the data from the Child and Mapping tables based on those keys. Keep data by a date range for the primary table and then use its keys to populate the Child and Mapping tables. Make sure that the amount of data is adequate for your needs: not too small and not too large. This separation of table types can now help us with identifying sensitive data. Data structure and also Referential tables, should not have in them sensitive data. Neither should Mapping tables. What would have sensitive data are Primary and Child tables. You can change this the data by either outputting it with those changes into an SQL file or dumping that data into a staging database, changing the sensitive data and then dumping it into an SQL file with a tool. Ideally, this stage needs to go through a QA process/person before the company releases sensitive data to generally available containers or repositories which keep history of changes. With taking the time to separate the different elements in a database, you can make it less complicated and you would then be more able to automate parts of the database into your CI/CD process. A counter table is a table that keeps counts of particular items or for certain keys. 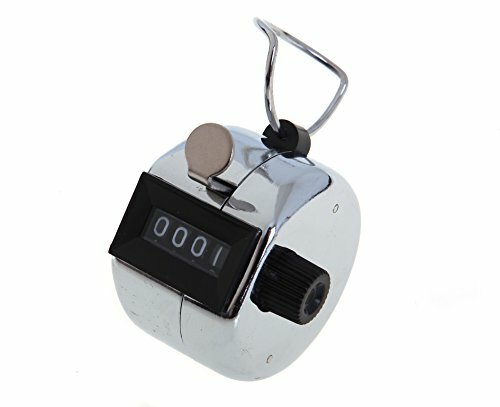 This can range from page count on your blog to keep track of a limit the user is allowed to have from a particular item or service. Usually, a counter table would be better kept in something like Memcached or Redis as frequent increment updates would be better suited to those in-memory systems. MySQL and Innodb in particular has many stringent systems to make sure that your data has been reliably written to disk. Just going through those systems alone, can make having a counter table, not suitable, not even considering the speed it takes to update the actual table. However, sometimes there is a need for certain assurances from failure scenarios where in-memory systems may not be suitable for - as when they crash, the data kept in memory is cleared out. In those cases, may I recommend that you do what I consider a 'aggregate counter table'. The idea here is to replace doing lots of increment updates and simply count the original base table you are interested in having counts for. In order to be able to aggregate the base_table more correctly, you need to keep some sort of record of what was the last time or position you read for the base table. What I recommend you consider, is either the primary key, assuming its an integer as well as having a last_updated timestamp column. This should be very fast and will prevent the many 'database-attacking update queries' that can become a serious bottleneck to your performance in the long run. with the understanding that this will happen infrequently. You also, now need to maintain a procedure and monitor that it is running on the set intervals that you need it. Fortunately, MySQL has scheduled Events to help with that.